I kicked off my summer cooking a little early this year, the second weekend in May to be exact, when my friend Sarah and I were in Martha’s Vineyard. Don’t let this past week’s group of grilling recipes fool you: charcoal is not what summer food really means to me. S’mores, perhaps. But really it’s the seafood, especially the varieties that you are hard-pressed to find off-island. 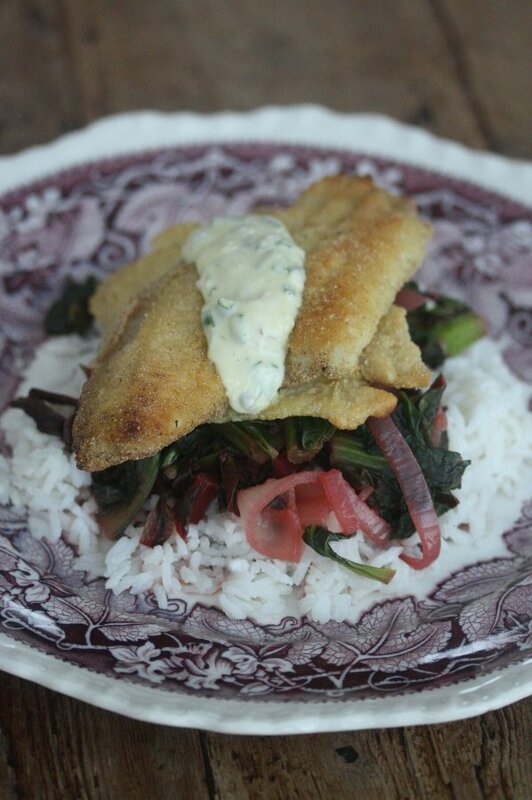 One of the dishes that I grew up eating every summer on the vineyard was crispy fried yellowtail flounder. My mother, ever the glutard, used to dredge them in millet flour and pan fry them until gold brown and just begging for tartar sauce. 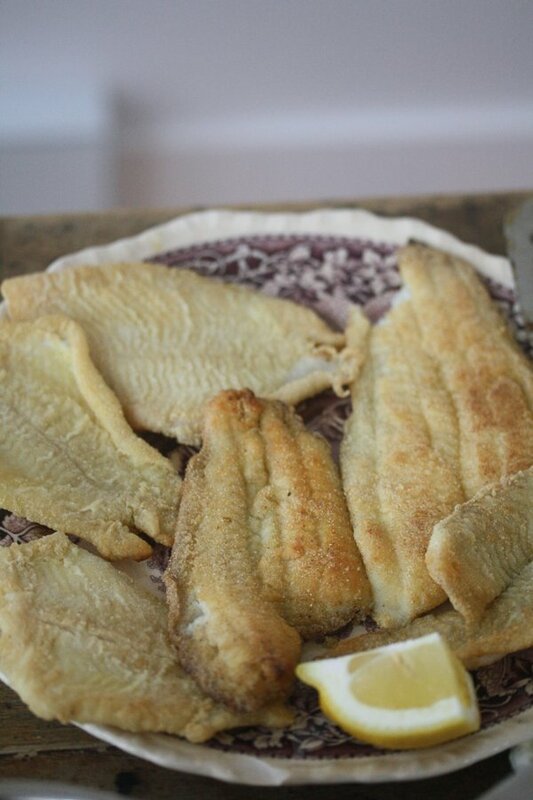 The little yellowtail flounder fillets found in fish shops on the vineyard are particularly cut out for the job, as they maximize the crispy coating to tender fish ratio and cook up in a matter of seconds. I haven’t found an apt equivalent back in New York. 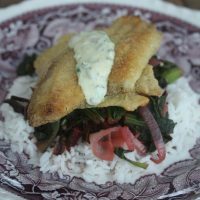 But if you’re looking, just go with any small, thin white fish – potentially grey sole, or the tiniest flounder fillets you can find. 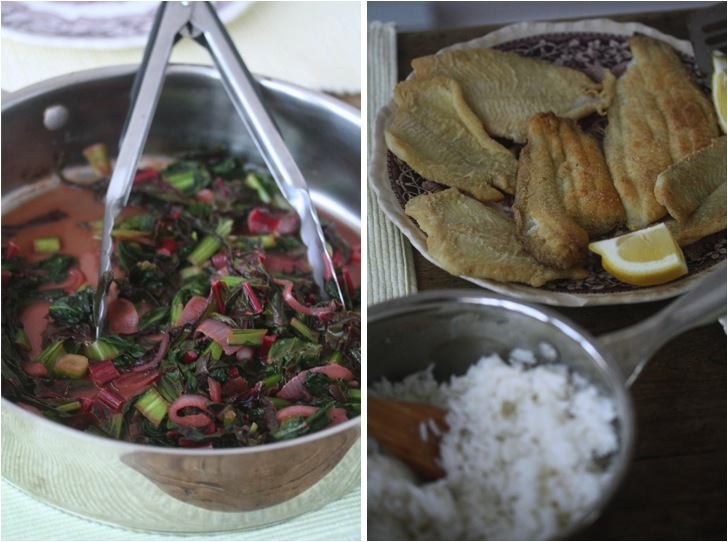 Anyway, Sarah came up to the island last summer for a few days and we attempted to recreate my mother’s yellowtail magic. I remember there being no millet flour on hand, so the result was delicious, but just not as good as I knew it could be. (For more on ideal GF flours for seafood, click here). 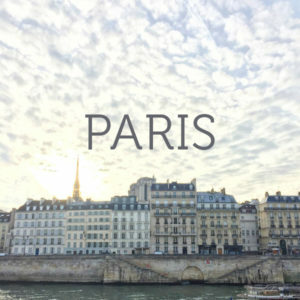 Sarah, not knowing the difference, was in love. So this time around, the moment we fled the preplanned Wine Festival activities, her first question was: when are we making fried fish. I usually don’t post recipes for more formally composed plates on this site. 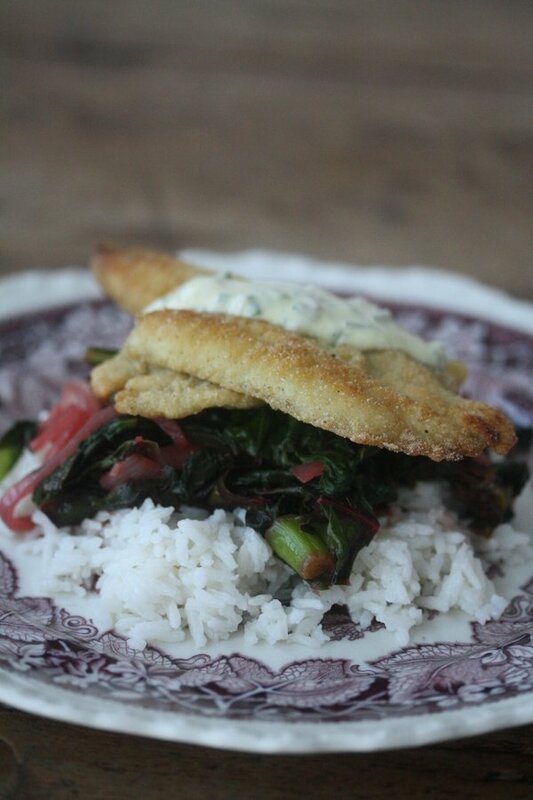 Nor do I share recipes that require more niche ingredients like, well, yellowtail flounder. But this meal was beyond delicious. So much so that I know it cannot be replicated, but any small attempt will be worth the while in some degree of yumminess. 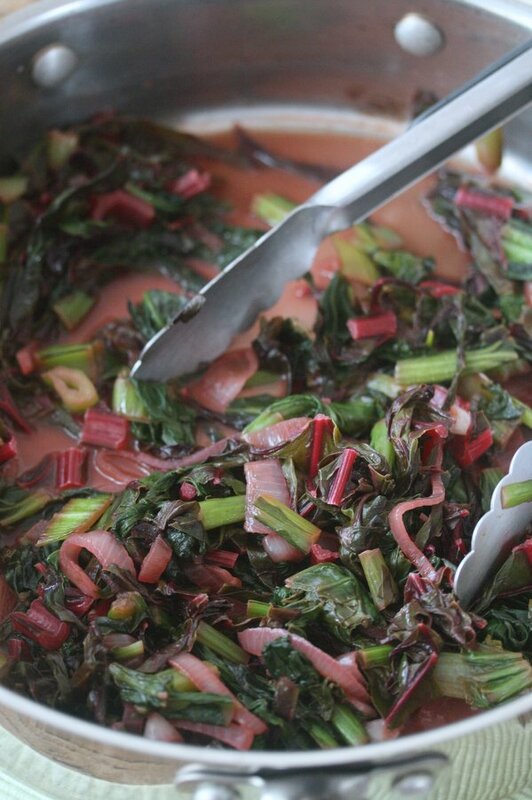 The second component that was all the more special because of the vineyard produce at hand was the pink greens. 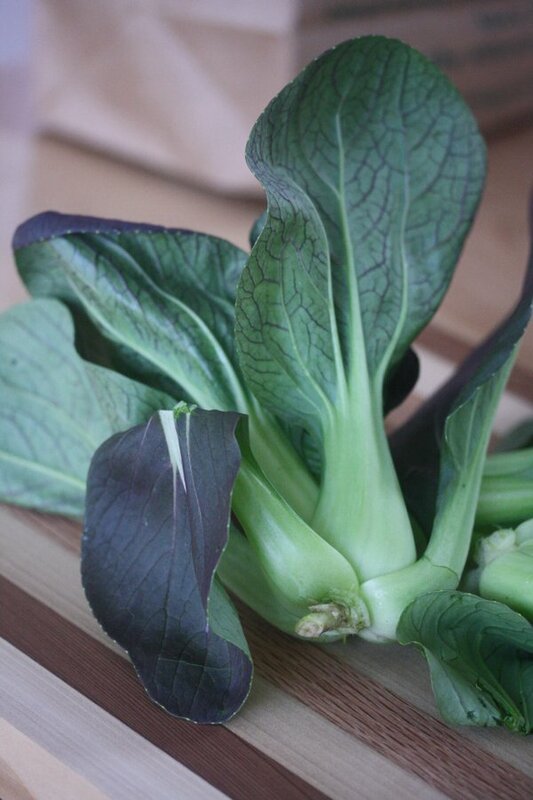 We used red chard, red bok choy and a variety of other Asian greens from Morning Glory Farm. 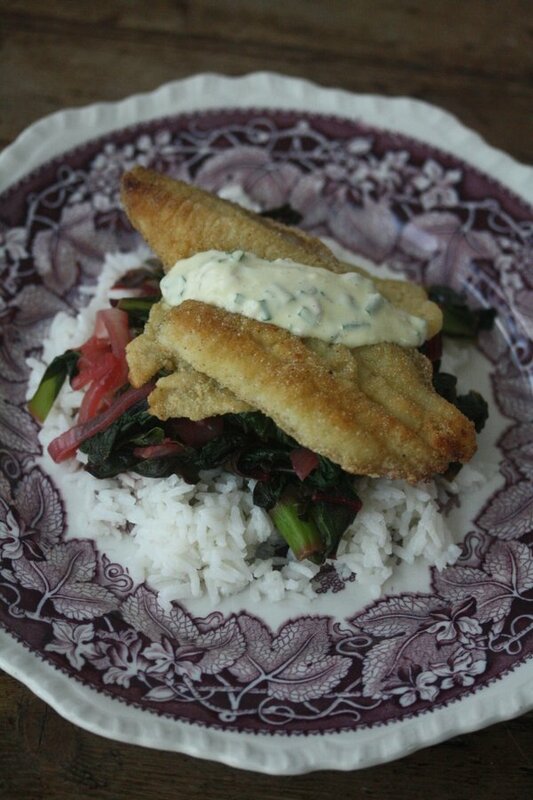 You can definitely play around with these combinations, but the red chard and bok choy made for a nice pairing. I hope you had a wonderful Memorial Day weekend full of all the foods that welcome summer in your world! In a medium saucepan, bring 1 1/2 cups coconut milk to a boil over medium-high heat, being careful that it doesn't boil over the pot. Stir in the rice and 1 tablespoon olive oil. Cover, and cook for 20 minutes. Remove from the heat and rest 10 minutes. Fluff with a fork and set aside. Have to try that bok choy/chard combo. As for little fish, sand dabs are perfect if you can find them (Citarella in NY and I know there are fishmongers who have them in LA…). Flounder is good too cuz it’s thin. I’ve found that grey sole has too much water and besides is ridiculously expensive. I think for future, you should specify what sort of heat to bring the coconut milk to the boil with, and also specify what sort of heat to do the 20 minute cook for. I think if people don’t have the understanding for how fast coconut milk can burn in a pot thats on a high heat, there are going to be a lot of pissed off people trying out this recipe. thanks for the feedback aaron. 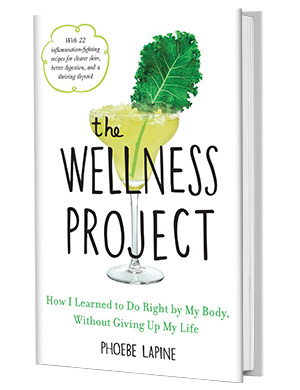 so far you are the first pissed off person, but I will make those changes.